British historian Thomas Babington Macaulay originally brought the modern school system to India in the 1830s. The modern curriculum includes subjects such as science, mathematics and English. Whereas subjects like metaphysics and philosophy were considered unnecessary. Teaching has now become a classroom activity and students rarely learn something from nature. Uttar Pradesh Board of High School and Intermediate Education was the first education oard set up in India in 121. the board had jurisdiction over Aptana, central India and Gwalior. after in 12, the board of High School and Intermediate education, a- putana, was established. In 12, the constitution of the board was amended and it was renamed Central Board of Secondary Education S. S affiliates all Kendriya Vidyalaya, all Jawahar Navodaya Vidyalaya, a majority of the private schools, and most of the schools approved by central government of India. Deciding important parameters like curriculum, textbooks and examination system for affiliated schools are the main functions of CBSE. Now CBSE is a global board as along with thousands of school in India, schools in countries from Afghanistan to Zimbabwe are affiliated to it. Other then UP Board and CBSE Board, there are several other boards in India. 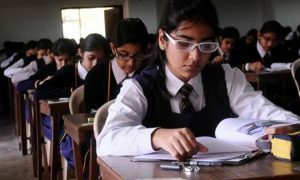 Every state in India is having their own 10th and 12th education boards whereas at the national level, Council for the Indian School Certificate Examinations (CISCE), International Baccalaureate (IB) and International General Certificate of Secondary Education (IGCSE) boards are in the country. IB International Baccalaureate (IB), formerly the International Baccalaureate Organisation (IBO), is an international educational foundation headquartered in Geneva, Switzerland, and founded in 1968. Subjects Offered ICSE in 2013-64 with 23 Indian languages and 12 are foreign languages. Subjects Offered ISC in 2013- 50 with 23 Indian languages and 12 are foreign languages. Areas of Operations: 120 Countries including India, USA, UK. A school’s vision and mission radiate its philosophy invincibly. It is the vision of the school that governs its mission. A perfectly defined vision and mission help replicate new strategies, innovation, and new-fangled ideas which impel the school to achieve the best. By integrating learning technology, multimedia content and information, specialised software, audience response technology and assistive listening devices, smart classes help teachers in effective teaching. Smart classes use various interactive modules like videos and presentations. These visually attractive methods of teaching are appealing to students. Well-designed module of these classes enables students to visualise and understand the concept better. It is impossible to ignore technology nowadays. It is a part of everyone’s life in a big way and it’s going to stay that way for a while. Naturally, it has also invaded the classrooms. However, it may not replace the Guru, the teacher, in near future; it can be used to enhance student engagement as well as learning. Engaged students naturally have better learning outcomes and grades. 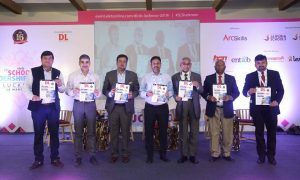 Speaking on smart classes and on use of technology in education, Carl Laurie, Principal, Christ Church School, Mumbai said, one of the most important and necessary tools available today to make learning effective and enjoyable is proper use of technology. One of the most important and necessary tools available today to make learning effective and enjoyable is proper use of technology. 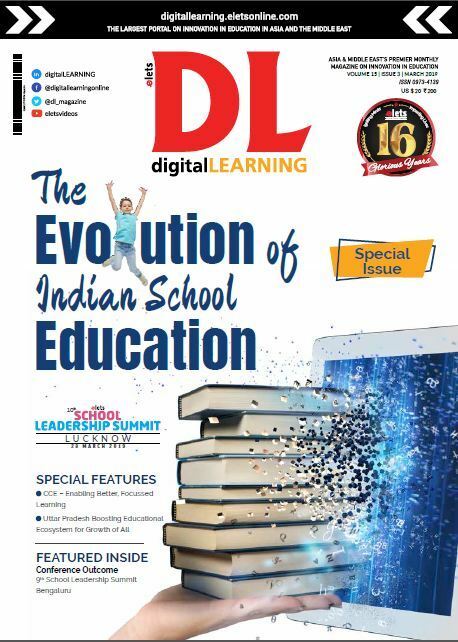 “We are educating a generation that is considered ‘natives’ of the technology age, and it’s imperative to teach them in the language and tools they understand the best in keeping with the adage; ‘if they don’t learn by the way I teach, then I teach in the way they learn’. Moreover, we are preparing them for a future that is bombarded with information, and that goes beyond the textbooks and classroom walls,” he said. Technology is the necessity of 21st century with technological literacy at the centre of learning. Every educational institution should be adept to prepare global citizens who are technologically sound. “Smart classrooms have been extremely helpful in making the lessons interesting as well as enhancing the learning process. A resource room dedicated to the use of technology as a tool for the teachers has indeed boosted their performance,” he added. Technology is the necessity of 21st century with technological literacy at the centre of learning. Every educational institution is adept towards the preparation of global citizens who are technologically sound. At TGWS, Technology is at the heart of learning. TGWS strongly and firmly believes in the digitalized learning style, to cater to the growing learning demands of the current generation. 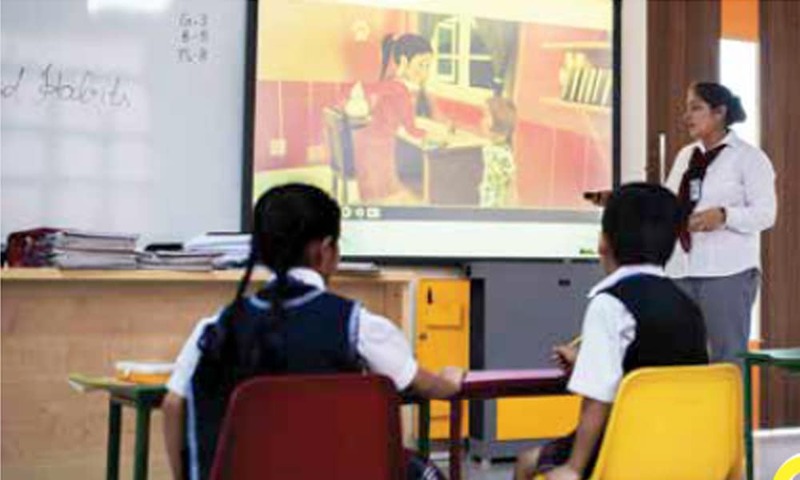 Digitalized smart classrooms facilitate smooth learning catering to the multiple intelligent student atmosphere”, said Praseedha Sreekumar, Head of School, The Geekay World School (TGWS).